Chopsticks at the ready: we’ve sashimi-d our way round the best sushi in the capital and rounded up the very finest. 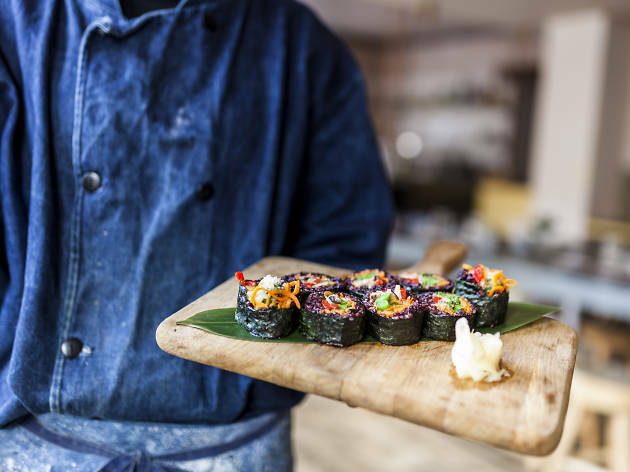 Whether you’re after the Michelin-star treatment, a healthy dinner or even a vegan option – if you’re dreaming of sushi you’ve come to the right place. 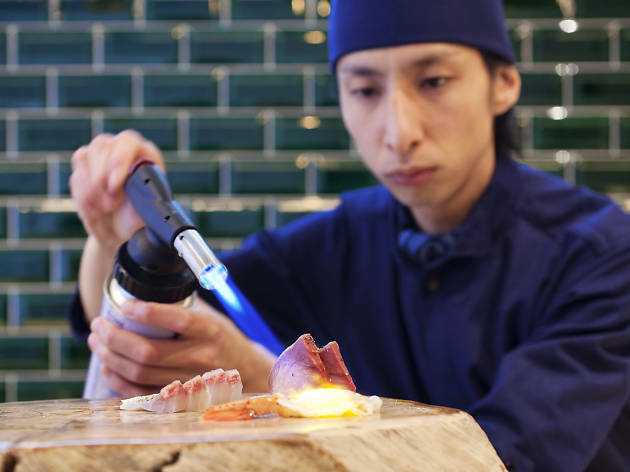 The sushi counter flanking this traditional Japanese restaurant in Mayfair takes its art seriously: expect platters of cut rolls tightly wrapped with nori or glistening slices of fish, beautifully presented with slivers of vegetables and dots of wasabi. 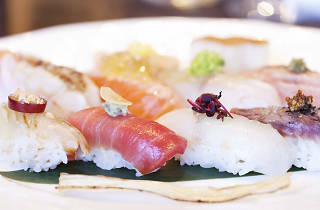 Sushi connoisseurs are welcome to go off-menu here. 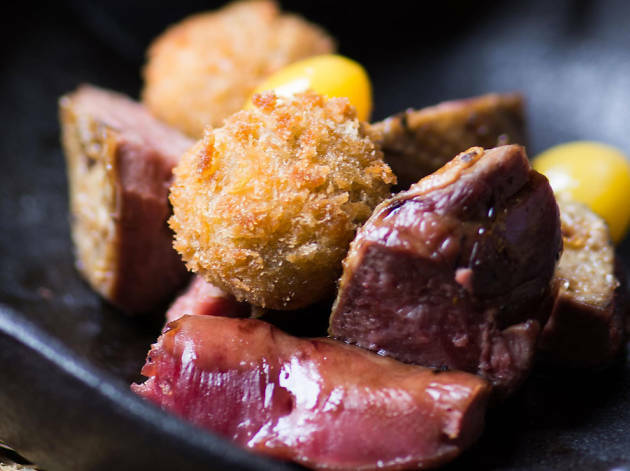 Everything about this Chelsea follow-up to Dinings in Marylebone is an improvement: from the glitzy, capacious dining room to the quietly ambitious, head-turning menu. 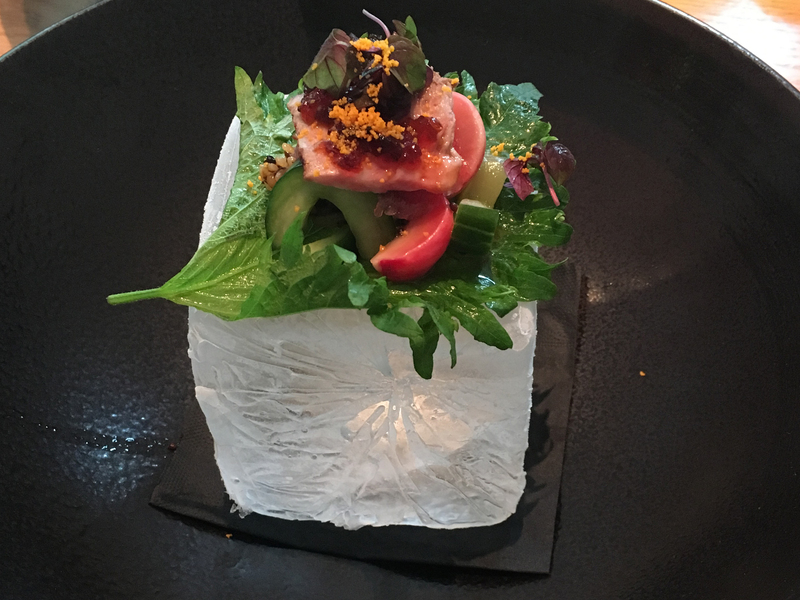 Signatures such as the ‘modern’ sushi have made the trip southwest, and their complex precision-tuned flavours are a real wow. 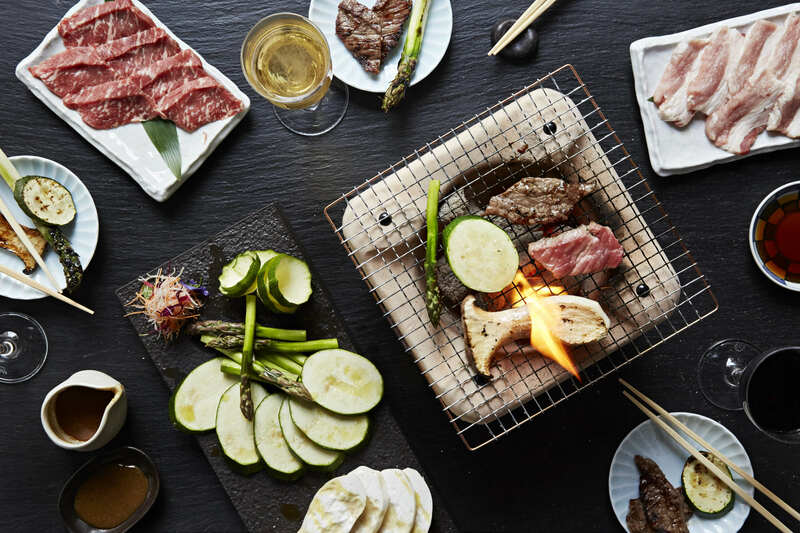 It may be famed for its exclusive kobe beef, but this meticulously designed Japanese bolthole also gives good sushi from its bijou premises on Ham Yard in Soho. 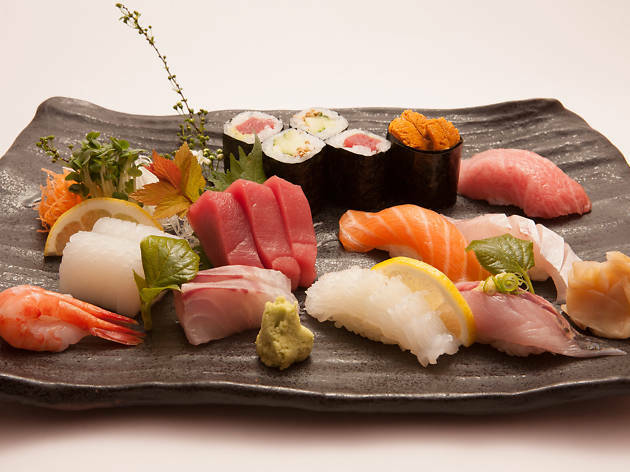 Expect pretty platters of hummingly fresh fish as part of the omakase menu. It’s all very serene ’n’ clean. 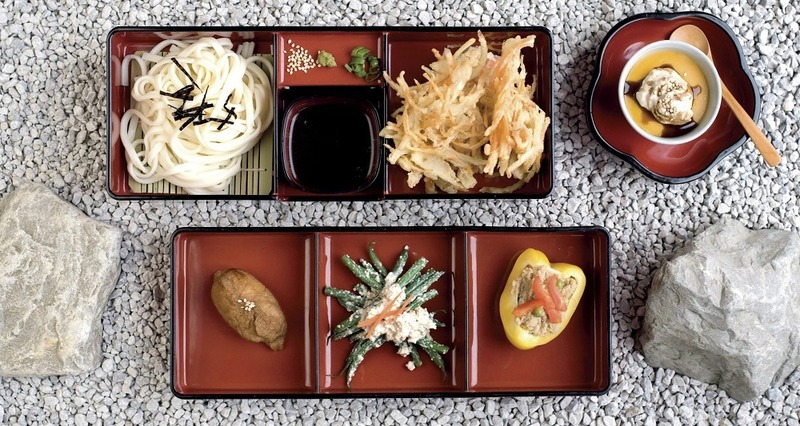 It may be approaching its fourth decade, but old-school Ikeda, right near Bond Street tube, has still got it. An overriding commitment to quality and consistency has made it a rock-solid destination, while the sushi selection is light years ahead of your average conveyor-belt chain. A high-end, gimmick-free experience. 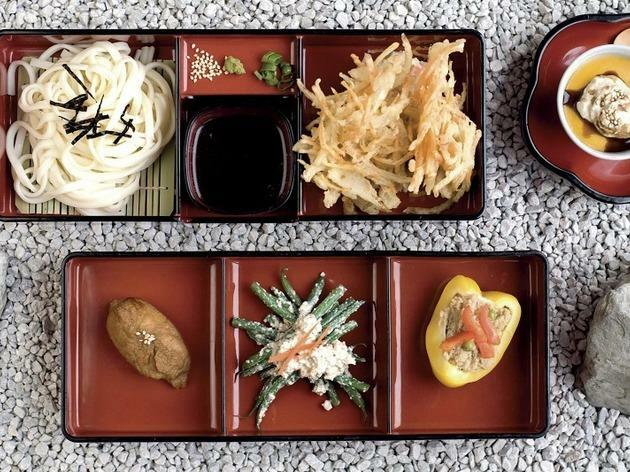 Japanese, vegan and organic? What’s not to love – and, rest assured, we do love this cool little miracle near King’s Cross station. 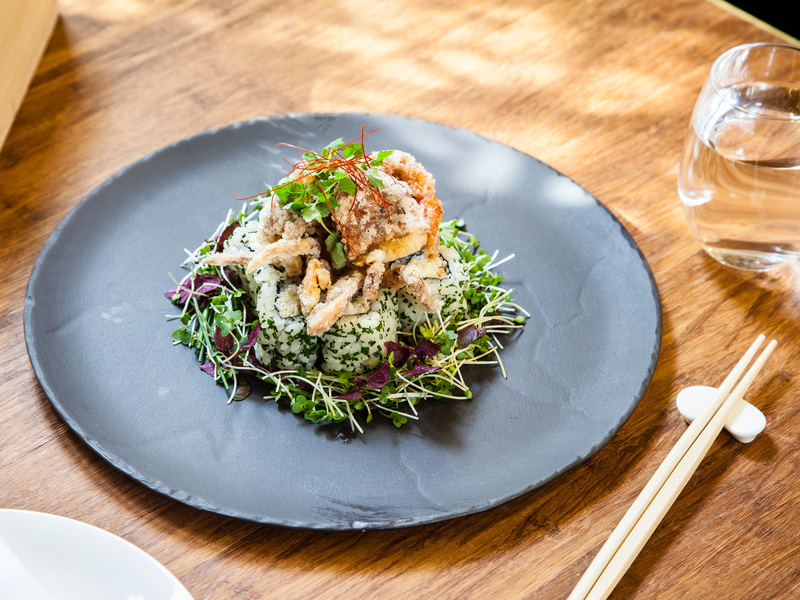 The virtuously healthy menu offers its own spin on sushi, meticulously fashioned with various combinations of vegetables and seaweed on rice (where appropriate). Lunch specials are a draw, too, with the kakiage udon a highlight. Japanese temaki rolls are awesome – especially at Jugemu in Soho, where they’re made to order for punters sitting at the counter. Each little package is packed with super-fresh ingredients and handed over the instant it’s ready. 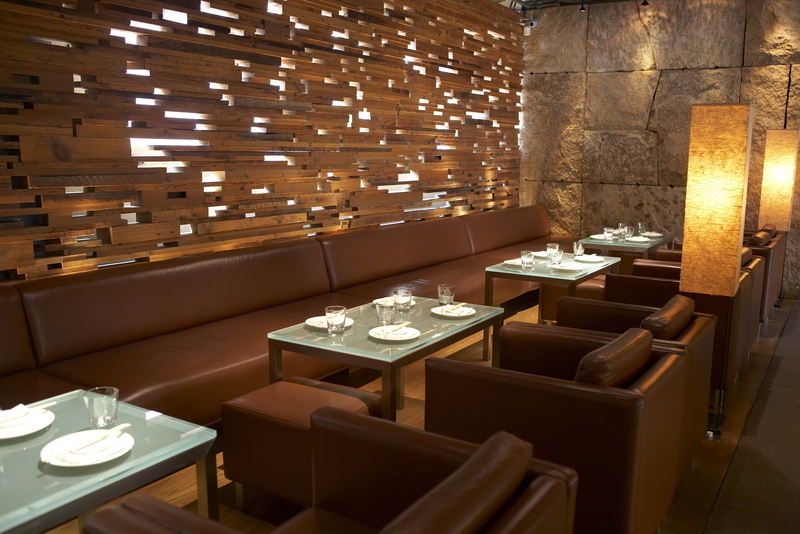 Alternatively, bag a table for full platters of sushi and sashimi. 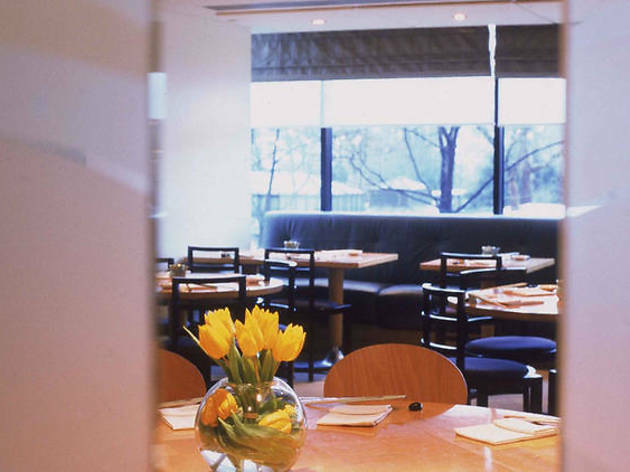 Nobu Matsuhisa’s Japanese fusion style redefined expectations when he launched the Nobu chain (remember his iconic black cod in miso), but the sushi at this Park Lane outpost (and at celeb-happy Berkeley Street) is also pretty special. The classics are excellent, the ‘new-style’ specials intriguing. 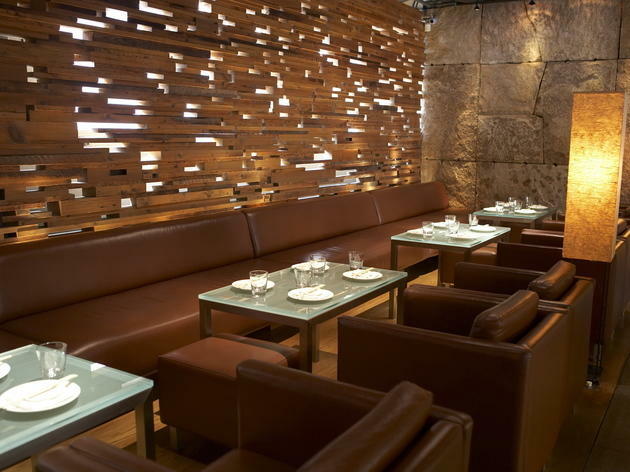 As a stablemate of Zuma, Roka gets the gold seal of approval from sushi aficionados. 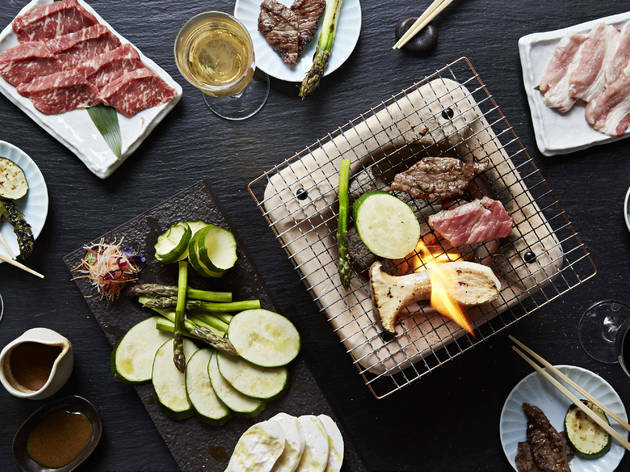 Elegantly presented platters at this Fitzrovia outpost are one of the big hits at this izakaya-that-married-well – otherwise, splash out on fancy-pants wagyu sushi with caviar or perfectly fresh yellowtail sashimi with yuzu-truffle dressing. Branches in Aldwych, Canary Wharf and Mayfair. 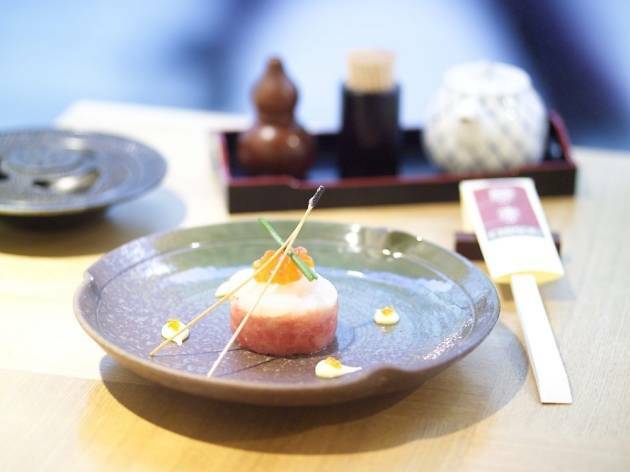 Sleek, modern interiors, exquisite crockery and double-ended chopsticks strike a swish, authentic note at this Mayfair Japanese – a tone that’s matched by Sakagura’s beautifully presented sushi platters, decorated with edible flowers and carved vegetables. 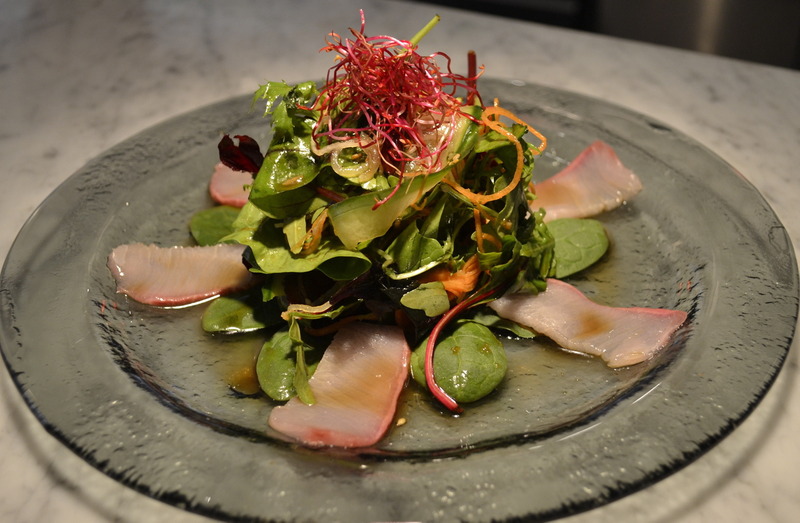 Also check out the ‘ocean party’ sashimi for sharing. So’s sushi bar in Soho gets our vote over its smart dining room, largely because we’re hooked on its superbly fresh seafood. 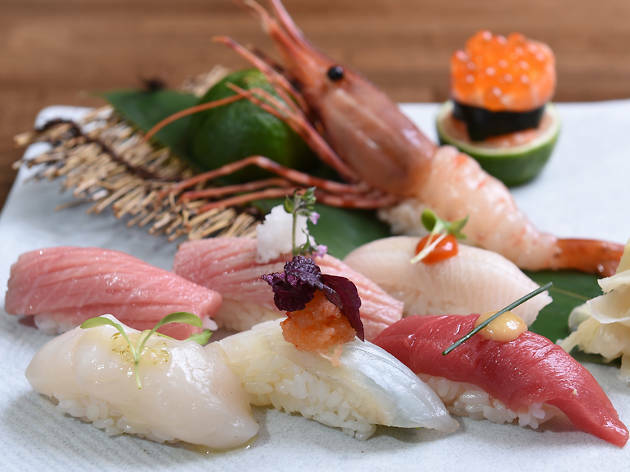 The must-try specials menu goes way beyond the usual suspects with its selection of nigiri, maki, chirashi and sashimi (including some meat-based items for distraction). Small but lovely, this sibling of Mayfair’s Chisou in Fitzrovia offers the best of both worlds: it feels old school, but the music’s upbeat and the blowtorch-wielding chefs are from all nations. 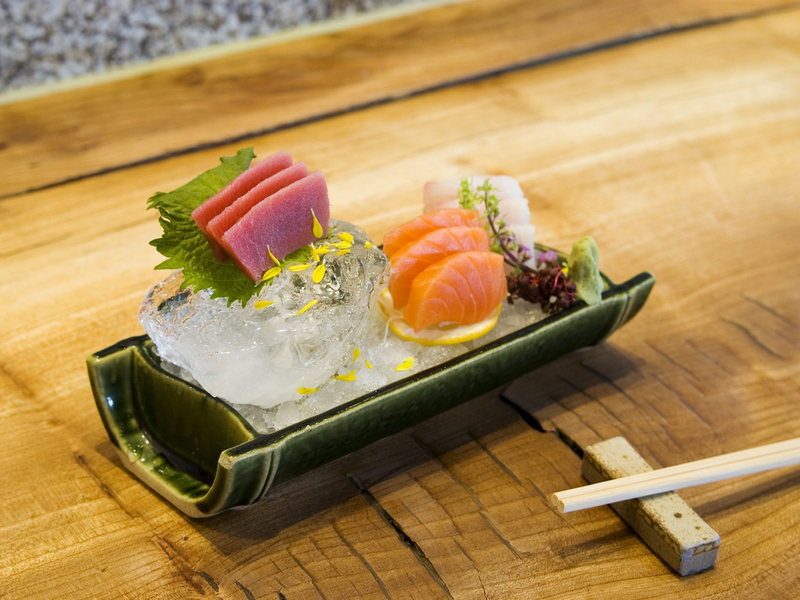 Fish fans drool over the modish carpaccios, the magnificently silky otoro tuna and the market-fresh sushi sets. 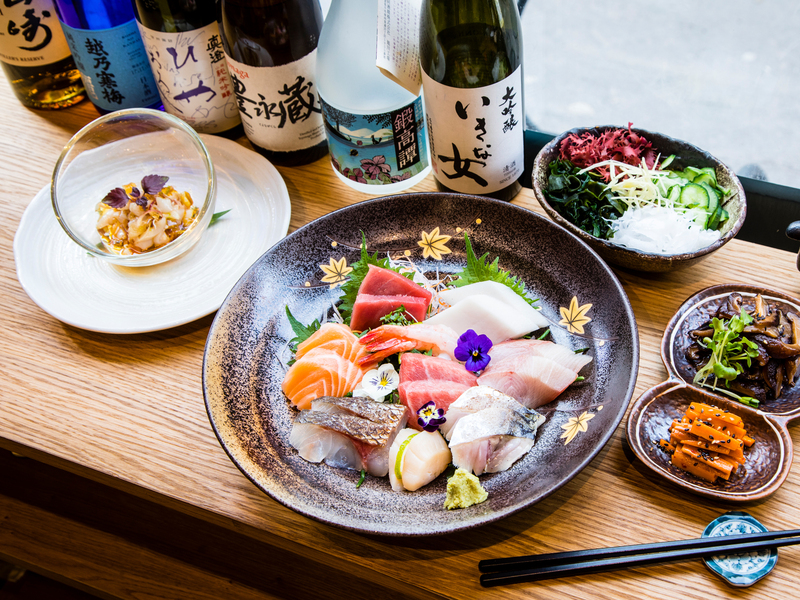 Celebrated for the still-flapping freshness of its fish and its customer-friendly prices, this fishmonger/sushi bar in Ealing wins no prizes for decor, but its sushi is bang-on – and the choice is impressive. 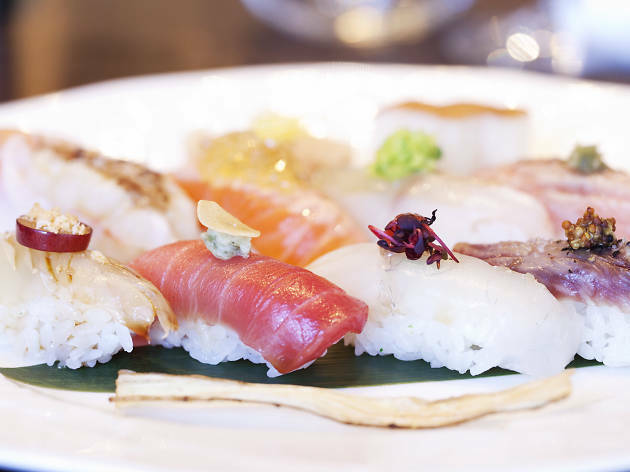 For a similar sushi fix, try Atariya’s bar and takeaway in Marylebone or their South Hampstead branch. 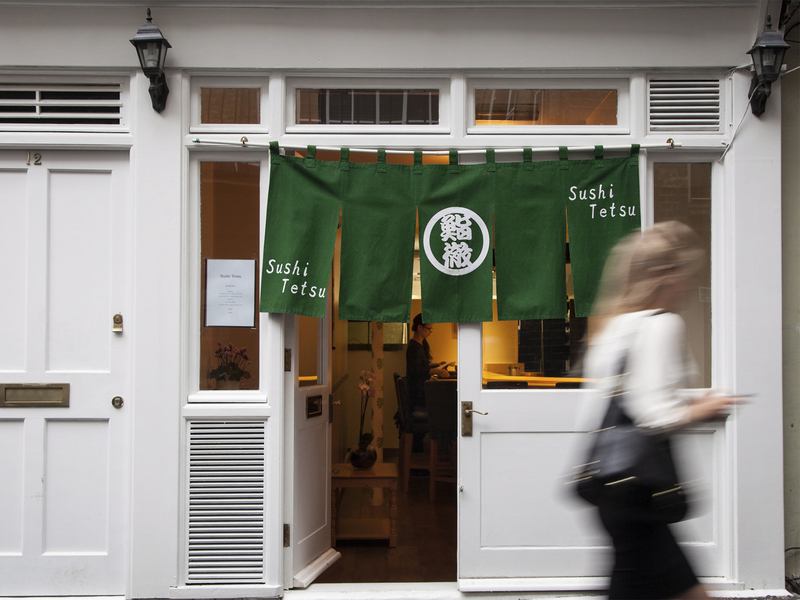 Booking a seat at this seven-seater sushi joint is a rigmarole, but Sushi Tetsu in Clerkenwell completes with the best in Tokyo, let alone London. The fish is superlative (and seasoned to perfection), with each mouthful prepared by hand in front of you. Sushi heaven – at a price. Sushi in the City (with sky-high views thrown in) equals serious money, but the raw fish at this Japanese/Brazilian/Peruvian showstopper won’t leave you feeling short-changed. We guarantee that the signature ‘samba roll’ selection will distract you from the panoramic vistas – no mean feat. The surroundings are as eye-catching as the sushi at Uchi in Lower Clapton, where the brushed gold countertops, soft lighting and dainty crockery are all worthy of a Pinterest board. Veggie combos are an unlikely standout here – don’t miss the fleshy, earthy mushroom-and-spinach nigiri with hints of sesame. 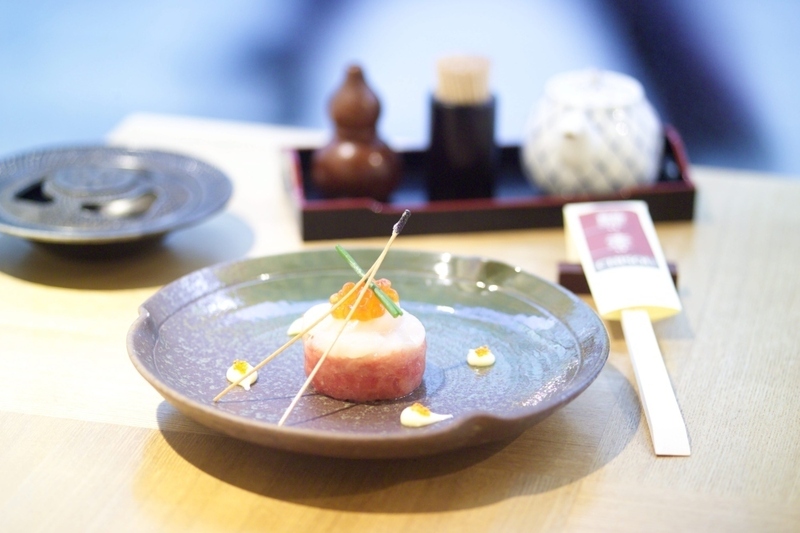 It’s all about attention to detail at Yoshinori Ishii’s two-Michelin-starred enclave in Mayfair, from the chef’s handcrafted tableware to the procession of surgically precise, extraordinarily delicate sushi emanating from the kitchen. Be warned: prices will slice through your wallet as mercilessly as a samurai sword. 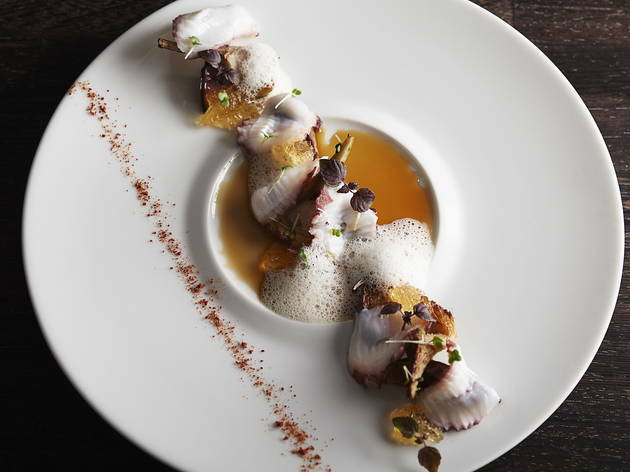 Sushi nerds congregate at Uni’s street-level counter in Belgravia, but similarly refined seafood – including the titular ‘ooni’ (sea urchin) – is also served in the bijou basement dining room. You can have your sushi traditional or new-style, with undercurrents of Nikkei (Japanese/Peruvian fusion) running through the mix. 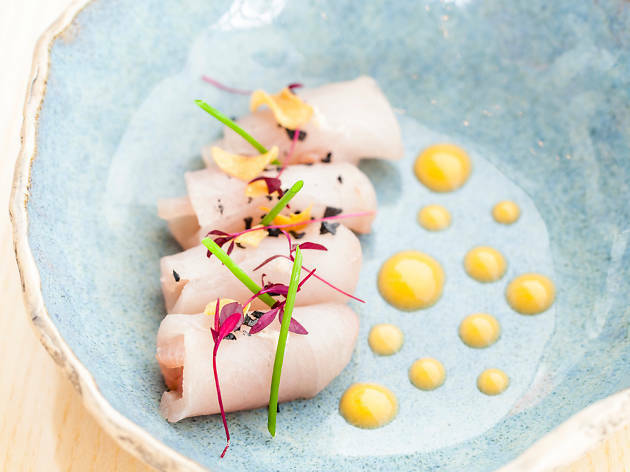 ‘Without soy – but if you want to’ is the mantra displayed above this jewel of a sushi bar in Holland Park, where the Nobu-trained chefs are dedicated to matching each piece of fish with an exquisite flavour pairing. Sit at the ground-floor counter for the best service. 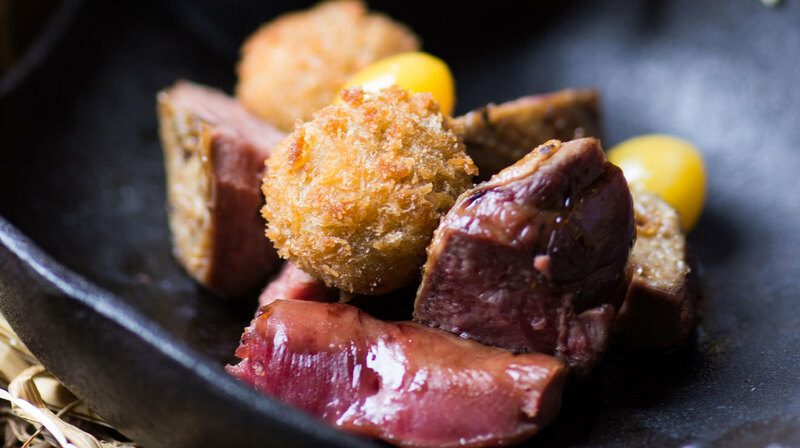 Nose-to-tail (or should that be cheek-to-fin) is the ethos at this South Ken offshoot of Yashin, where an ‘eat everything’ approach keeps punters on their toes. Cleverly crafted sushi rolls (with or without soy) are one of the highlights – everything from eel and avocado to foie gras and chives. 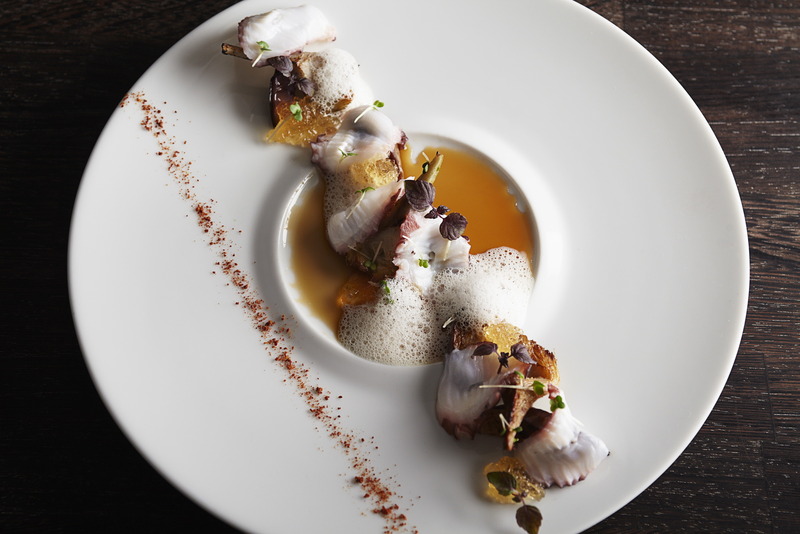 ‘It’ restaurants rarely remain major players for long, but Zuma in Knightsbridge bucks the trend with its funky zen-industrial look, starry lighting and wow-factor food. 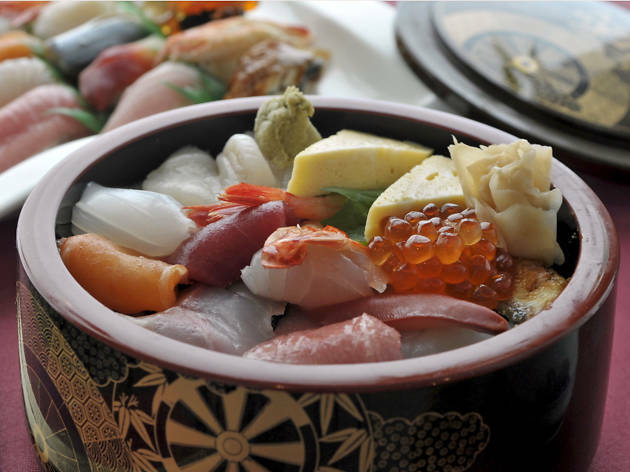 It’s on nearly every sushi-botherer’s bucket list, with signature platters such as the peerlessly fresh chirashi maki going down a storm. A Willesden favourite for more than two decades, this stylish, understated Japanese is a true family affair: its chef/proprietor mans the sushi counter; his wife oversees the monochrome dining room. 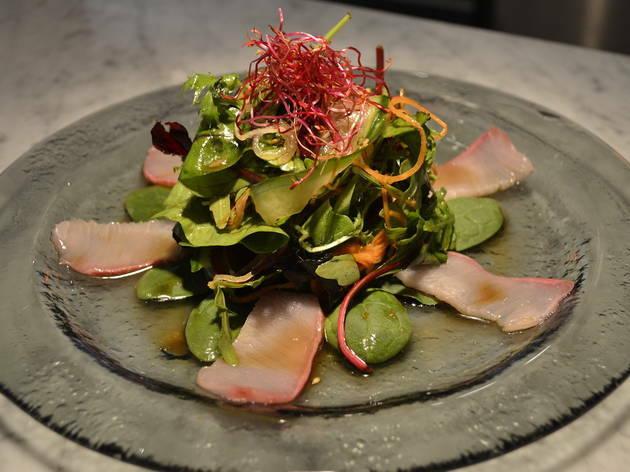 Faultlessly fresh specials put its sushi on a par with the best in town. Three-Michelin-starred sushi was unheard of in London before master exponent Mitsuhiro Araki arrived on the scene. Eating at his ten-berth cypress-wood counter in Mayfair is an eye-wateringly expensive privilege, but worth it for a taste of his utterly sublime raw fish masterpieces. A once-in-a-lifetime one-off. It’s not big on ambience, but high standards and modestly priced sushi mean there’s rarely a spare table in Kiraku’s brightly lit dining room next door to Ealing Common tube. Otherwise, perch at the counter and feast on impeccable raw fish for around £20 – that’s a win in sushi territory. An old hand at conveyor-belt sushi, this in-and-out Soho joint is about speed rather than impeccable service or decor. 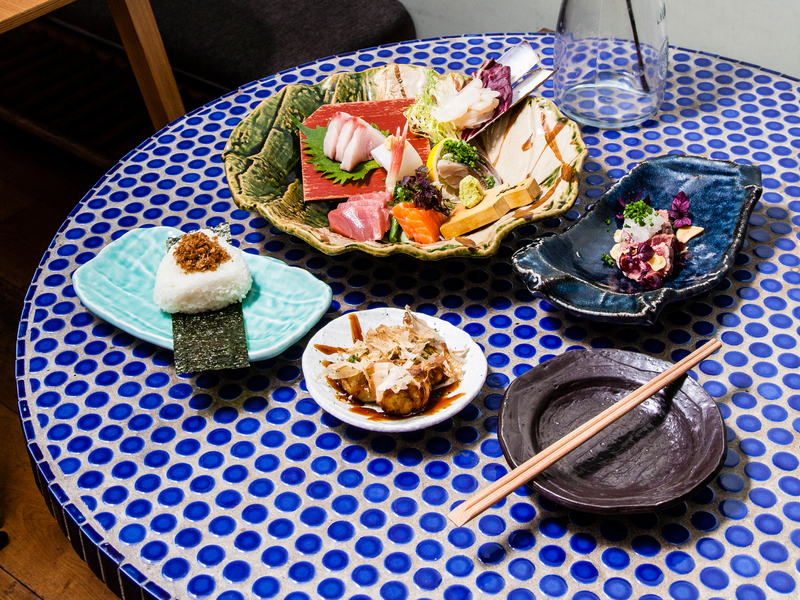 Pick whatever takes you fancy from the never-ending loop of colour-coded plates or go for broke with an elaborate sushi platter from the carte.